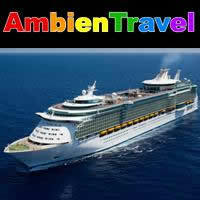 Adonis Holiday - All Gay & Lesbian Cruises, Resorts & Tours. Adults Only Holidays & Vacations. Discover the magic and mythology of the Greek Isles – one of the most storied regions of the world – on a private all-gay voyage of the beautiful tall ship, Star Flyer. Sail across the azure waters of the Aegean Sea visiting the small hidden ports of Milos, Sifnos & Spetses, and the legendary islands of Santorini and Mykonos. It will feel like your on your own private yacht as you experience unique island cultures, intimate tavernas, ancient treasures, and the breathtaking beaches of Greece. 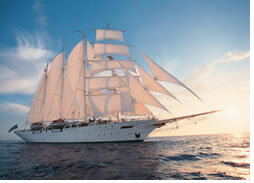 You’ll feel like you are sailing between heaven and earth when you sail into Mykonos and Santorini. 10-day European gay vacation featuring 2 nights in Prague and a fascinating Danube river gay cruise from Passau to Budapest. 8-day all-gay adventure featuring 6-night Danube Christmas Markets gay riverboat cruise from Nuremberg, Germany to Vienna, Austria. Get ready for a week filled with world-class sports, endless activities, and exciting entertainment. Waterskiing, sailing, tennis, or the flying trapeze, we've got it all at Club Atlantis. Join Italy Gay Travels on an exclusive Gay Yoga Retreat in the southernmost tip of Puglia, known as Salento. Springtime in Japan is synonymous with the arrival of blooms blanketing the nation with various shades of white and pink. Let us show you authentic corners of Japan that reflect the diversity of that proud and ancient land, both ancient and modern. 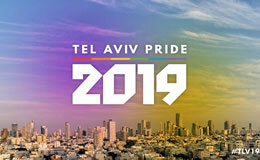 Come feel the Gay Vibe of Tel Aviv at our annual Gay Pride Week. Enjoy Pride and explore all the highlights of this incredible country. Immerse yourself in Peru & Bolivia, home of the richest treasures, the bloodiest conquests, and the most advanced ancient civilizations. We enjoy one of the country's largest national parks to witness the beauty, diversity and richness of a unique natural environment. There's nowhere in the world that screams adventure quite like the small-but-mighty undeniably diverse New Zealand! Explore the charm and nightlife of Havana; Learn salsa in Trinidad; Lay on seemingly undiscovered beaches; Dine under the stars in Vinales. Your journey will take you through the cultural Lima, charming Cusco, and the Valley of the Incas, and mystical city of Machu Picchu. 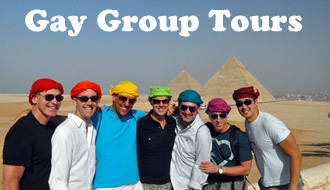 Egypt has enchanted visitors throughout history and our gay Egypt tour is no exception. We sail down the Nile on the ss Karim, built for kings. 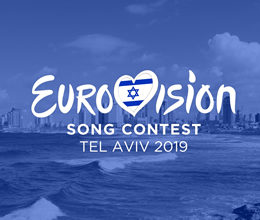 Christmas in the Holy Land Israel gay tour is a magically meaningful experience. Visit the land where the Christmas story took place. A Gay Australia Cultural Tour Down Under, including Sydney’s Gay and Lesbian Mardi Gras 2020! This is the trip of a lifetime! See some of the world's most beautiful scenery, eat some of the most inventive cuisine, and visit some of the world's most mystifying sites. Get ready for excitement as 900 friends from around the world come together to play in the perfect private beach setting. Our Punta Cana Club Atlantis Caribbean Gay Resort brings you the stellar entertainment and sizzling parties that make our cruises sensational, but in the relaxed and spacious setting of a private resort. There’s no better place to enjoy the summer than gay and lesbian cruising America's most majestic state with RSVP! Explore one of the world’s most beautiful destinations as RSVP sails to the best of Alaska on one of our all-time favorite ships, Holland America’s Oosterdam! Experience the majesty of America's 49th state in a way that's only possible by ship. Adventure awaits at every moment! You can sea kayak through calm waters or hike trails filled with fascinating wildlife. One thing we know is that virtually everything will take your breath away! The wonders don’t stop with the Alaskan scenery. We’re pulling out all the stops this summer with our all-star lineup of RSVP signature entertainers along with some stellar new talent. A unique small ship gay cruise on the lavishly designed brand new deluxe MV Avangard. Cruise along the charming Croatian coastline and islands from Split to Dubrovnik and back, including exciting sightseeing experiences and visits to the Mljet National Park, Hvar, Dubrovnik, Korcula, Brac, and more. Indulge all your senses, explore inspiring destinations, fishermen’s villages and small and cosy restaurants on shore for tasting local Mediterranean cuisine and nightlife. 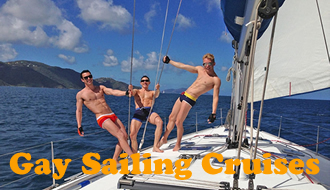 With only 36 passengers on board, this is a relaxing gay cruise experience within a very friendly atmosphere. Intention of this cruise is to show beauty of Croatia islands and thousand year old cities and their rich history, to present Croatian lifestyle and heritage. During this amazing gay cruise you will have the opportunity to visit the various gay and nudist beaches of the beautiful islands. The revolution is here with the first all-gay charter on the sensational new Celebrity EDGE. Make history with Atlantis as we sail the world’s most anticipated new ship to four magical islands in the Caribbean from gay-friendly Ft. Lauderdale. Experience a brand-new way to cruise in a luxurious style never seen before at sea. On sale now to a very lucky 2900 Atlantis guests from around the world! EDGE is not just an evolution of the cruise experience – it’s a revolution of design and features that simultaneously brings you closer to both the ocean outside and friends inside. The remarkable Grand Atrium creates a dynamic social hub that truly centers the ship. Dining or socializing on the Magic Carpet, EDGE’s most striking feature, gives you the experience of floating over the ocean with a perspective few have ever seen. Make history with Atlantis onboard the awe-inspiring Oasis of the Seas for Europe’s biggest and most exciting all-gay cruise! Two Asian nations – and a favourite drag queen – await on Out Adventure's 2020 Mekong River gay cruise. After four days at our favourite five-star hotel in Siem Reap, the Cambodian town that’s home to the legendary Angkor Wat, we’ll board a luxurious, seven-night, all-gay cruise along the Mekong River. Between marvelling at ancient cities and getting lost in time in local villages, Toronto-based diva Miss Conception will stun you with two shows, a trivia night, and private Champagne lap dances in her suite. Alright, perhaps not a lap dance – we can’t let her upstage the stilted villages, Phnom Penh, and gorgeous countryside. To round off the journey, we’ll disembark in Ho Chi Minh City, where ancient collides with modern.